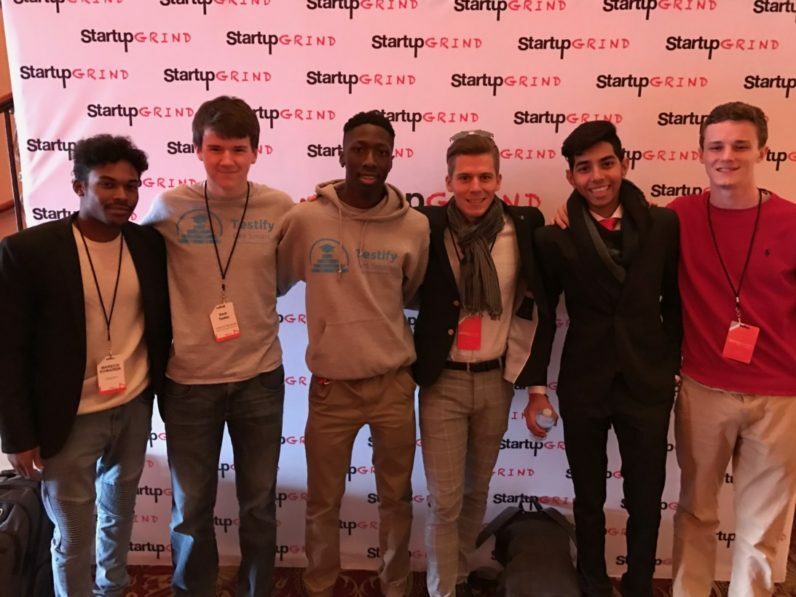 A few weeks ago, I had the chance to speak with 17-year old Femi Adebogun, the co-founder and CEO of Testify Software Solutions. Femi and I talked about his education and the problems he faced in the system-much along the lines of feeling lost or disengaged. Along with a friend who faced similar struggles, they developed MindMap, an edtech tool to helps teachers learn about their students’ learning styles, interests, and career goals in a short period. Femi, please tell me about your background. My parents and I moved to America from Nigeria when I was three years old. My family had the same story that many immigrant families have, and we persevered through many struggles to assimilate in American culture. I always felt different, and it often showed, whether I spoke English with an accent, or ate different foods than my classmates. My parents worked long hours, caring for my extended family in Nigeria, and our immediate family here in the states. For these reasons, I took care of myself and became independent very quickly. I embraced being different much better than most people do and took full pride in it. Because we didn’t have much money, I learned how to be very crafty and solve problems in innovative ways. For example, when I moved to America from Nigeria, I sold soda and candy to my classmates. I bought four-packs of soda cans at the dollar store and would sell the cans to my classmates for a dollar; each one made 75 percent profit margins. I was able to buy myself shoes because my parents couldn’t afford to purchase them for me. Through these experiences as a child, I figured out how to create the most out of the smallest amount given to me. I also learned that if you create value for others, they will pay you in different ways, and this shaped me into the person I am today. Please tell me more about your schooling experience here in America. You mentioned you switched schools six times. Can you elaborate on that situation? I’ve had an interesting time so far in school, and one that I plan to continue to have in college. Throughout my education, I changed two different schools for each level. I’ve attended two elementary schools, two middle schools as well as two high schools. My parents worked hard to get my siblings and me into better living environments. Also, I received a scholarship that allowed me to attend two private schools, which were instrumental in my academic progress. Attending various schools allowed me to understand the gaps in our education system early. Let’s talk about MindMap, which is your primary product from your company, Testify Software Solutions. Why and how did you launch MindMap? Since I’ve been in six distinctly different schools, I’ve seen how contrasting the public education system can be for kids. As a student, and more importantly, as a person, I progressed tremendously in some school environments but progressed slowly in others. I noticed the main differences in my growth came down to how engaged I was in the classroom learning experience. At my current school, I didn’t feel involved in classroom learning and was perplexed because my SAT scores rank in top five percent of the country. In other metrics, such as grades, the system placed me on the lower end of the spectrum. I realized the teachers at my former schools knew me well and were able to make a better connection with me as a student, and most importantly as a person. My team and I were inspired to create MindMap when one of our friend’s parents made him take a personality assessment. He was quite reserved, and his mom wanted to learn more about his interests to connect with him and to parent better. When he told us about the test, a light bulb went off and begged the questions: Could a similar tool help teachers connect with students earlier, and can it support them in a way to meet students’ academic and social needs on a more individual level? To ensure we had something, my team and I spoke with dozens of educators and learned many interesting things that caused disengagement. The two areas we noticed most: it takes an extended period for teachers to understand and know their students, and there is a lack of education technology tools that can help solve this issue. Based on the feedback from faculty and students, we built a game-based program, and MindMap was born. MindMap is a 15-minute personality assessment that helps teachers make better student connections in a matter of days rather than months. By giving teachers access to vital information about new students early, such as identifying unique learning styles, personality traits, and career interests, teachers can engage, connect and help kids succeed at a much faster pace. After detailing the information, it then presents teachers with actionable recommendations and strategies to best help their students in the classroom from day one. How did you fund MindMap? Our first raise was through an Angel investor along with friends and family. We are strategically looking at our next round with guidance from our advisory board. It’s not easy to identify decision makers in the education world. What was your approach? Yes, in education, the hardest part is finding out who makes decisions about purchasing or testing new products. We used our advantage as students and attended local school district meetings. Many times we traveled all around the state to attend daylong conferences. Once we got ourselves in places where superintendents were present, we’d approach them. We showed them the vision of the product and requested follow-up meetings. The most important thing for us was to make sure the right people understood we had a solution to fix a real problem. You recently took part in the Google Start-Up Grind Conference. What made you stand out among thousands of other startups and why do you think they chose Testify? It is important to be humble. We kept our heads down and worked hard to make sure we had a great product. We applied months ago, and out of thousands, they selected us as one of the top 50 startups. We remained humble and were willing to learn from the mistakes of other entrepreneurs before us. Also, we took the time to find and meet successful entrepreneurs through sites like LinkedIn and Facebook. They shared their insights, mistakes and gave us valuable advice. Also, we focused on our strengths and weaknesses, so we could figure out how to balance our team and identify what we needed to work on most. A panel judge who works at a venture capital firm, and also took part in choosing the companies for the conference told me education was an important factor. Also, she was excited to see a group of students who were trying to solve the issue of disengagement in classrooms, based on our direct experiences as students. Finally, she was impressed how our product aimed to do fix the problem, and how far we’ve gotten with it. She was also happy about our recent partnership with the Howard County School District. Finally, how did the conference help you and what is on the horizon for this year? The conference helped us in many ways. We learned a great deal of new information at the conference. We also have a new investor whose agreed to start off our seed round, and we’ll be allowing some charters schools with lower income students in East Palo Alto to use the program for free. We we’re invited to speak at a meetup in the Bay area and may be shifting our business model a bit to allow parents to purchase individual reports for their children. Femi, if you were to talk to a crowded room of high school juniors who wanted to become entrepreneurs, what would be the three most important things you’d share? I recently had the exciting opportunity to talk to a large auditorium of high school students involved in the Future Business Leaders of America program. I told the audience that being an entrepreneur is not as glamorous as it seems, and many times you will fail. However, you have to pick yourself up the next day. On the outside, it looks like the coolest career choice, but going through the everyday grind and hustle is not for everyone. My three most important tips as a young entrepreneur: First, use your age as an asset rather than thinking of it as a liability. Second, hustle will always be king, and finally, always keep learning. Spend time reading or experiencing things first hand, because if you stop learning, you can’t ever progress. Read next: Where does India's government get off booting 12 million people from social media for a month?